There are only a number of moments in the course of one’s life when decisive steps taken by those around us compel us to rethink and alter the way we interact with our society, surroundings and inner self. If we cannot come together to condemn the trivialising of our collective health by a mafia that sees nothing but profit and power, and in support of the only individual willing to lay his life on the line for ours, then we will be doomed by our own small and selfish doing. 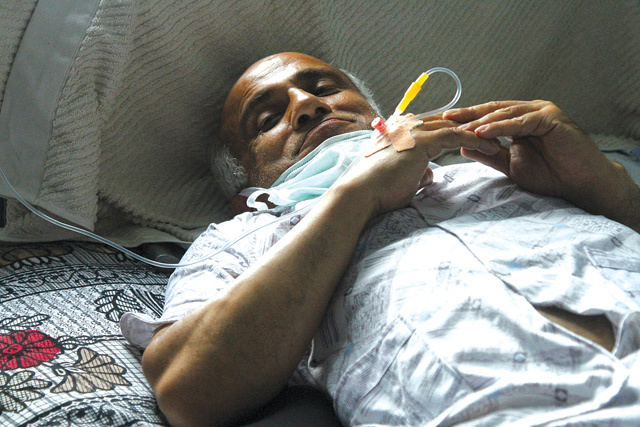 On his eighth hunger strike, Govinda KC is not under the influence of the health industry, political power centres or individuals. This is a physician who is a hermit, a Gandhi-type who is stubborn indeed, but has done little else in his life other than good things to help people in pain. Those who wish to question his motives ought to know that if power, politics and publicity stunts were at the core of his efforts, he would have been made minister at least a couple of times by now. 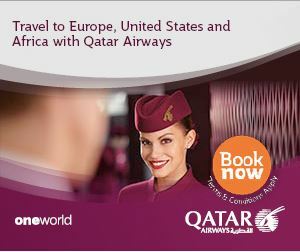 On the contrary, he refuses to join any political movement. Now is the time to question one’s own moral integrity, not that of a lone crusader who wishes simply for reforms in a medical sector that has been shred apart by greed and corruption. More than any other sector of national life, healthcare is one that affects us all, and can mean the difference between life and death. Of all the tirades hurled against Govinda KC, most common is the one questioning his allegiance to liberal economics, growth and the fundamentals of capitalism. It is as though a free market justifies systematically and consistently putting profits before people, and thinking solely of short-term gain. KC’s essential demand is for a regulated private sector when it comes to medical education, and state-run social welfare that remains free from harmful political interference, with robust and just policies to ensure the best education and services for Nepalis. Every major liberal economy in the world has stringent oversight mechanisms to ensure that the health of citizens is not compromised. What good is producing 5,000 doctors a year if we cannot give them jobs, and more importantly, if we cannot trust them with our lives? The criticism is less about free markets, and more about the right for the powerful and rich to loot the state coffers through public institutions, and the people through private ones. We all know the tendency of ‘power-sharing’ in Nepal supersedes the realm of Parliament and Cabinet, and festers in health, education, media, legislature, bureaucracy, and even the judiciary. Loyalties, allegiances and the depth of pockets override fundamentals in competence such as training, ability and honesty. Govinda KC points this out in the medical sector, for example, with children of rich parents buying their way into already-substandard medical schools that are propped up by a corrupt nexus of politicians, bureaucrats and business elite who profiteer from them. When a barely-passing student studies medicine at a barely-equipped medical college, what kind of doctors can we expect? 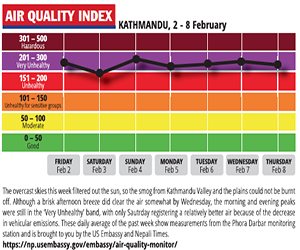 Surely, that is not the kind of health system Nepal needs to foster — one where anyone who can afford it is on the next flight out as soon as a health emergency crops up. But what is happening to the health sector afflicts every other segment of national life: mediocre or less-than-satisfactory individuals and organisations taking up crucial positions that determine our collective progress, and reproducing a culture of political protection and systemic corruption to sustain the system. One of the major players in sustaining the nexus between the political, bureaucratic and business elite is the head of the CIAA, and that is why KC has added the impeachment of Lokman Singh Karki to his list of demands. This did not come out of the blue, as Karki is a powerful figure not just within the medical industry but well beyond. This is the real litmus test for our elected officials, to see whether their loyalties lie with personal gain, profits and a dangerous mafia, or whether they lie with the people who voted them into power in the first place. If, on this occasion, the political parties and their leaders fail to deliver a solution, save KC’s life, and act in the interest of the people, whether PM Oli is still in power or whether the Deuba-Dahal rotation has begun, they will have a sizeable number of very angry citizens to answer to. We must not let them off easy this time.